I was fortunate enough to be able to visit Osaka for a day in August 2012. I took the time to visit some shops and also meet my good friend Kay (who came by train from Tokyo, many thanks for this effort once again). 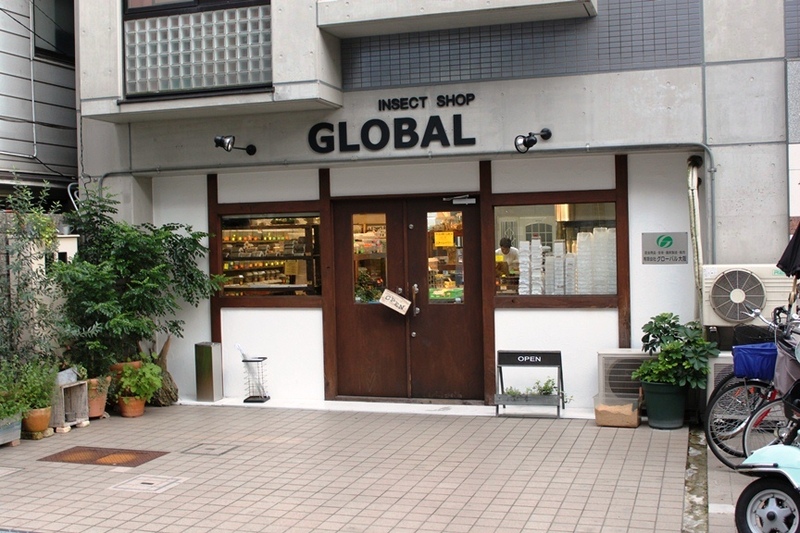 In total I visited 3 shops; the first one I would like to report about is a big store called Insect Shop Global in Osaka. 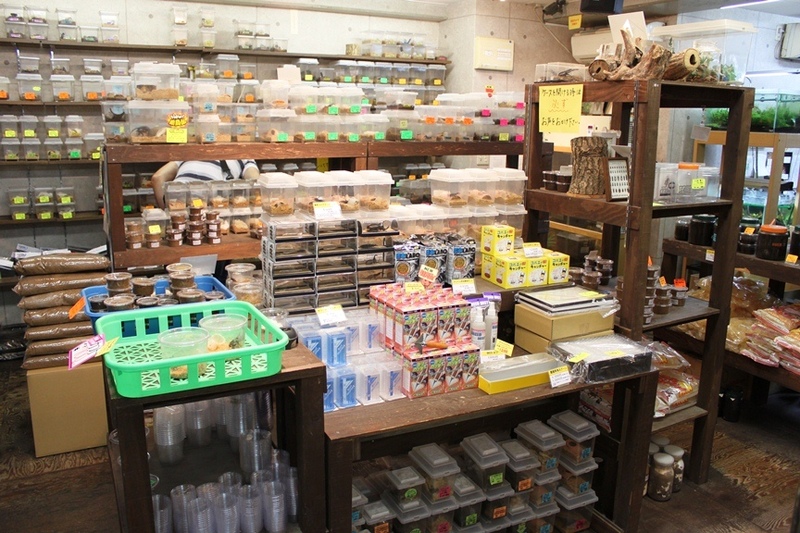 It is a really big shop, with a large number of species. The main focus, to no surprise in Japan, is Dorcus curvidens ssp., Dorcus antaeus, Mesotopus tarandus. Beetles were sold as pairs, and some species also as larvae. I was especially happy to see my favorite genus Lucanus in a few species. When I was there they had an offer of Lucanus hayashi, Lucanus hermanni and Lucanus laetus larvae. Lucanus are rather weak species in hot temperatures and I am always marveling how they manage to get them to Japan, which in summer also is really hot. Breeding is done in wine coolers – large fridges with a temperature that is adjusted to 18 degree Celsius. It was interesting for me to see with how small containers, Japanese breeders manage to get really good results. Egg laying for Lucanus laetus, for instance, was a ten liter container. Mesotopus tarandus was five liter containers with just a Reishi (Ganoderma lucidum) wood piece. Since I always try to reduce the space used for my breeding efforts (living in a rented apartment with a kid), this was heartwarming and showed me that I am on a good way. Of course, with new species, I would always suggest to go for more space and different substrates. Once you know ideal egg laying conditions, not much space is required. For larval maintenance however, the ‘little space’ method requires a much higher degree of discipline and if you are a beginner, maybe it is better to start with more space and substrate. I purchased some larvae of Prosopocoilus hasterti moinieri, which were rather cheap and at the moment are pupating. And they gave me a good number of L1 Chalcosoma atlas as a present that are happily growing in Daniel AMBUEHL’s breeding factory right now. Insect Shop Global has a real big fridge with glass windows in which they are storing the kinshi bottles and bags. 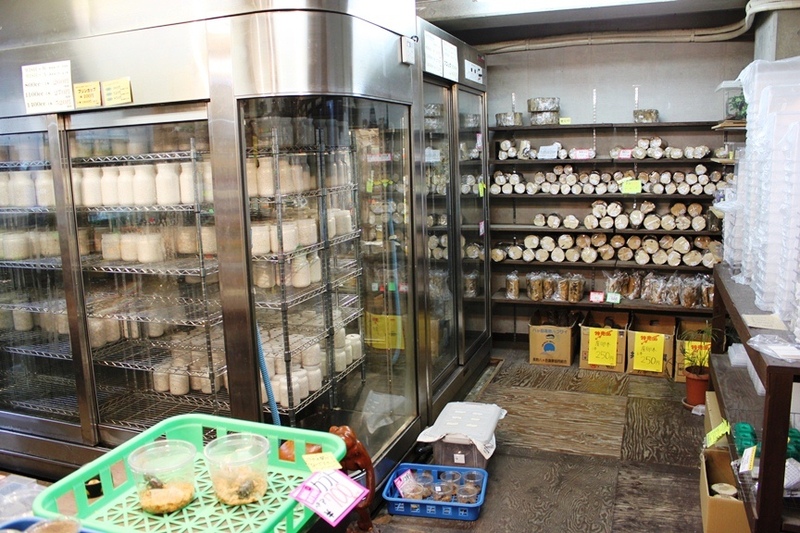 A talk with the friendly owner confirmed that it is mainly Pleurotus kinshi for Dorcus and others. Ganoderma lucidum and Trametes versicolor are also offered but mainly for Mesotopus and Alotopus. 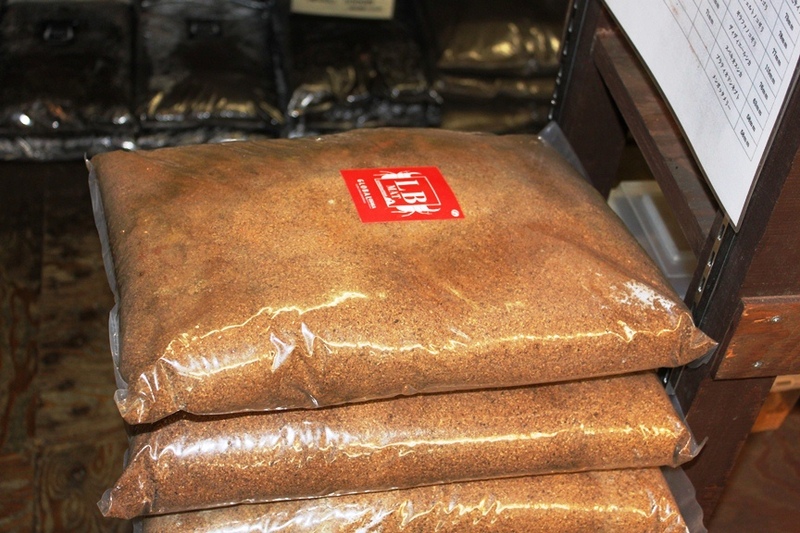 It was also possible to purchase all kinds of flake soil and different ‘mats’, some of them specifically made for a single genus. 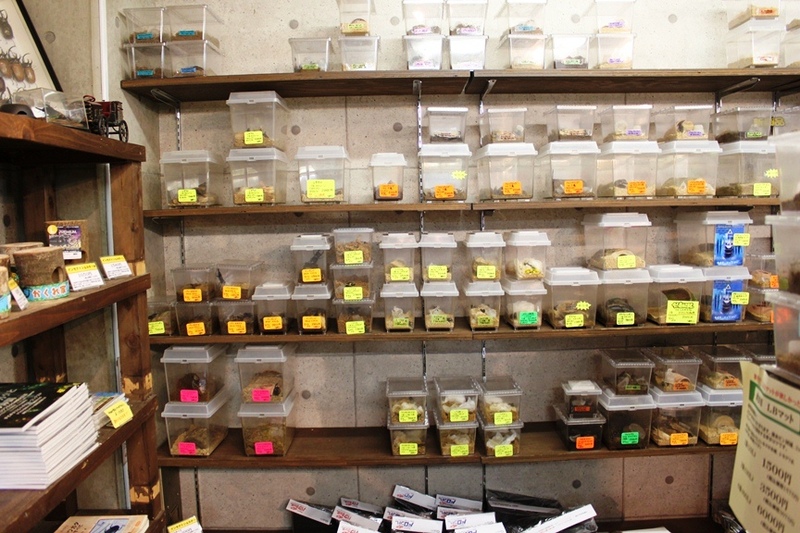 Of course, you could also purchase everything else that is needed to keep and breed beetles, like special beetle jellies, containers, jelly holders, a large number of beetle magazines, and so on. They also had a good selection of wood that can be used for egg laying of Lucanidae, something that is hard to come by in Europe. I am quite sure that these logs are the remains of the Shiitake (Lentinula edodes) culture. 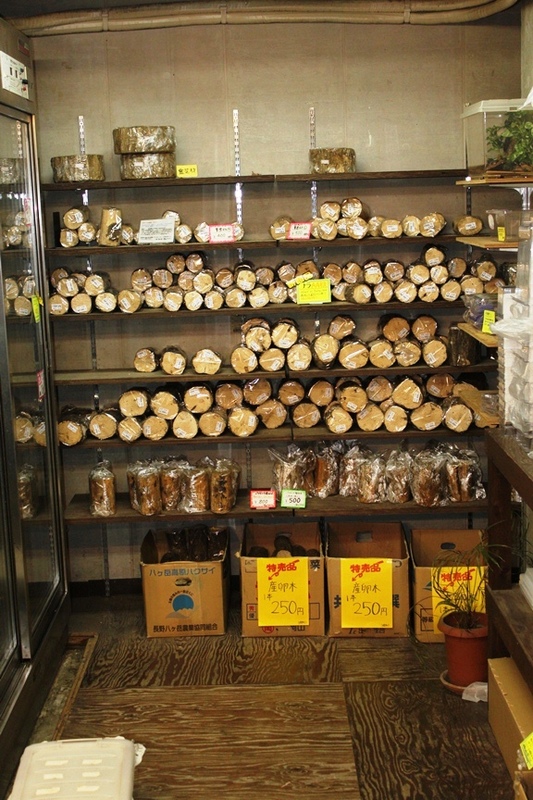 Unlike in Europe, where it is cultured on sawdust-straw mixes, Shiitake is cultured on wood logs in Japan. Once the mushrooms have been harvested and the wood becomes light, it can be used for Lucanidae and other beetles. I have tried oak wood (Quercus robur)from Daniel AMBUEHL’s Shiitake breeding with similarly good results. 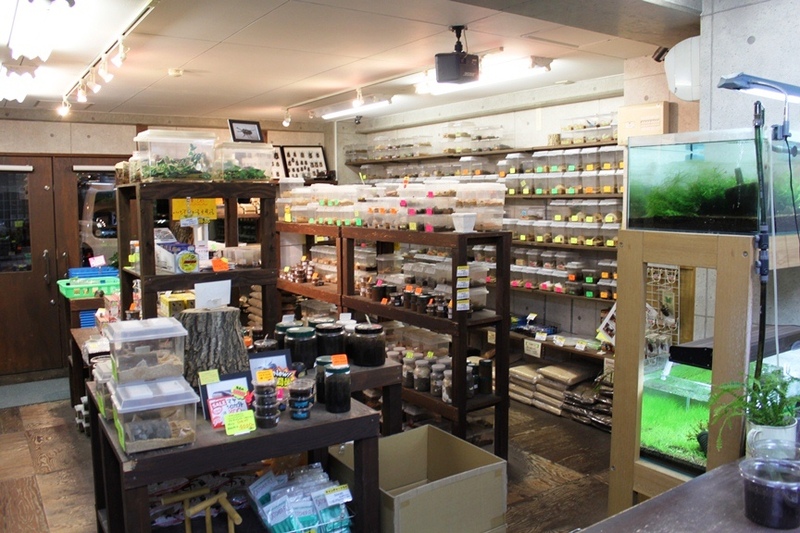 Nonetheless, Japan truly is a beetle breeder’s paradise! They also had quite a few and very rare Dynastes species on sale, e.g. Dynastes myashitai, Dynastes maya, Dynastes hyllus moroni, and some more. Some of them were really high prized but that is due to the rarity of the species. Overall, this was a really nice and big shop. The owners were really helpful and gave me a lot of advice on beetle breeding, which helped me to advance my own breeding. They are also easily accessible by email and have helped me a lot ever since. I hope to be able to visit them again soon. The Owner and his wife run this shop. I guess it is a lot of work to maintain so many beetles. I visit this shop well. Beetle mat is a very good quality. Japan is a paradise of the breeder. Maybe so. 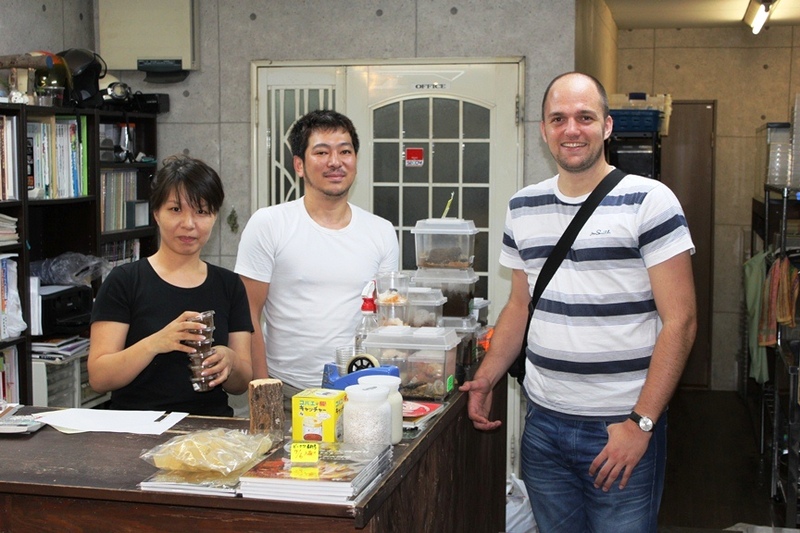 The Japanese people of beetle breeding technology are high-level. Hello.This is my first comment at this website. I am a Japanese high school student. I’m breeding some stag beetles. Global Osaka is very famous and popular shop in Japan. Global Osaka has a great net shop. It’s name is “Kinokonoyama”. The goods which was made by there is very good and reasonable I think. I’m not good at speaking and writing English.Maybe this comment has a terrible mistake. If you notice my mistake, please ignore them. Thank you to read this comment. nice to get to know you. Please do not worry about mistakes, your English is really good. Could you point out the web shop address? I do envy everybody who lives in Japan for being able to get so many beautiful and rare beetle species. And I have a question for you. How do you get beetles in Europe? I’m glad if you answer my question. Hi, no problem, thanks you for posting the information. It looks like a very interesting page. To answer your question. In Europe there are many exchanges between hobbyists, some people also order from some web shops. There are also some people who order from Japan, but it is difficult.There are also some shops in Europe, where you can order beetles.